In this episode of Trial Lawyer Nation, Michael Cowen sits down with Devin Herz, Chief Creative Consultant and Founder of Dynamic Marketing Consultants (DMC), along with the Marketing Director of Cowen | Rodriguez | Peacock, Delisi Friday. Devin describes his passion for marketing from a very young age as he watched his family build a small empire of retail stores taking particular notice of the marketing that made them so successful and later leveraging his creative genes and marketing strategies to help businesses multiply their revenues. Devin talks through how his firm prides itself on developing marketing initiatives that stand out from the average industry niched pieces and credits some of their versatility to the fact that they don’t just work with attorneys, which helps to keep things fresh. When asked by Michael about the “silver bullet” of marketing that will bring in all the cases he needs to retire in a matter of years, Devin points out several realistic views that can achieve the same result and mentions if there were such a “bullet,” we’d all likely be retired already. Seeing as the Trial Lawyer Nation podcast is aimed at personal injury lawyers, Devin is asked about the marketing tactics he’s seen that have worked and not worked in this specific industry to which he gives the example of looking at a website. He describes the differences between a legal firm’s website that is just like all the rest, touting the attorney’s credentials, and how they’re the best and will win every case; versus one that speaks more to the intended audience on a human level while balancing the authority-building credentials, which ultimately projects a much more successful image of that firm. Delisi also points toward delivering a consistent message to your audience, citing a recent referral from an attorney they have been marketing to for a long time whom they are now excited to work with more regularly. “It’s the marathon, not the sprint” as Devin puts it. And Delisi applies this same thought process to the attorneys who advertise with bus wraps and billboards. Michael agrees with both as he recalls the different “slow burn” strategies he’s implemented with Dynamic Marketing Consultants over the years that have proven to be successful at varying rates. Devin describes the prioritization of audiences and the group that most attorneys, and business owners in general, tend to overlook when determining the best ROI for their practice. This parlays nicely with his discussion with Michael for those who may not have a 6-figure marketing budget, where Devin describes the internal marketing processes that are important to have in place and refined BEFORE targeting tons of new clients or cases. The topic of social media also comes up, as the three discuss the importance of being relatable online in an era where every potential new client does their due diligence before calling a lawyer. Delisi talks about being personable because “someone is going to call you if they feel like they can actually relate to you.” Michael is of the same opinion sharing the importance of not always being about business and Devin eloquently states “social media is called ‘social media’ for a reason.” With social media being a necessity for lawyers, the conversation transitions into the different ways to automate this marketing technique and topics (like politics) to be careful discussing. 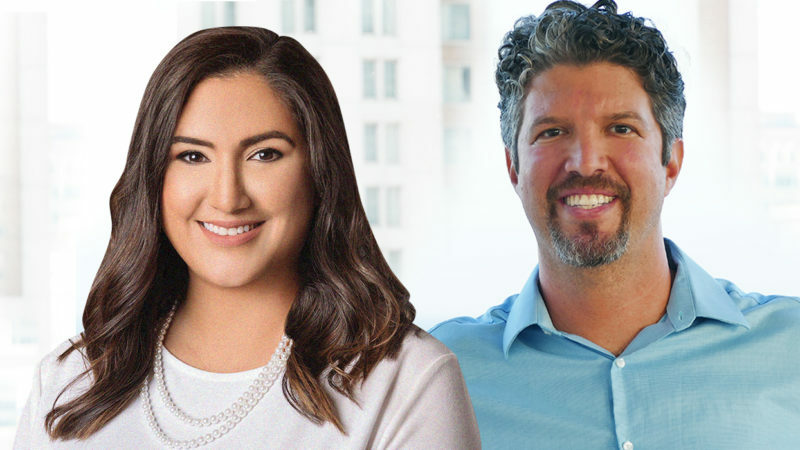 Michael and Delisi conclude the episode with a look back at how they started working together with DMC and the trials and tribulations they went through (like the split testing “trial by fire” of having multiple firms market an event), before partnering with DMC in a substantial way to become a valuable extension of their marketing team. With 25+ years in marketing, Devin has not only been able to hone the craft of ROI-based marketing but has accrued the knowledge required to build a world class team of consulting and marketing experts. Early on in his professional career, he became the owner of one of Tampa’s most successful event promotion and marketing companies, during which time he was the design and/or print firm for Quiznos, Exit Realty Corporate, Engel & Volkers Corporate, Tampa Bay Lightning, Tampa Bay Super Bowl, over 50 national recording artists, and many other successful individuals and companies. He won Addy Awards for a Dairy Queen marketing campaign and for a brochure for Exeter International, and a Gold Ink Award for design. He is also the Best-Selling Author of “ROI Secrets Revealed,” and continues to share his expertise with the public in books, through blogging, and in interviews. As the daughter of a trial attorney, Delisi is no stranger to the legal industry and has over 10 years of legal experience. Her strong ties to the legal community, along with a deep understanding and respect of the litigation process, have helped her succeed in her role as Marketing Director for Cowen | Rodriguez | Peacock. With a passion for legal marketing, Delisi is regularly working on branding initiatives, seminar planning, communications, business development, and the podcast Trial Lawyer Nation. She currently serves as Chair of the San Antonio city group and on the southwest regional conference committee for LMA (Legal Marketing Association). With a previous career in television and film, including a degree from the famed AADA (American Academy of Dramatic Arts), Delisi uses the experiences she learned from shows like Friday Night Lights, That’s So Raven, and Saturday Night Live to help the firm effectively tell a client’s story to a jury.